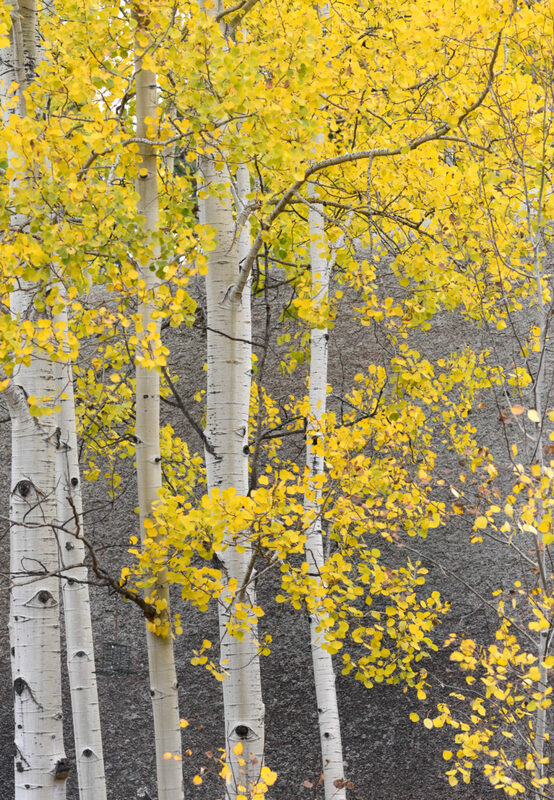 Above: These colors are sooooo fall. The burnt orange, taupes and tans make me want to swim in a pumpkin spice latte or something – Lol! Purchase or grab 4 colors of worsted weight yarn from your stash – you’re going to need several skeins of these colors. If you want to stick with the fall theme, choose colors like reds, yellows, burnt oranges, browns, taupe, grey and any neutrals that you like! Think harvest, gourds, corn, leaves and all that good autumn stuff. The yarns used here were from my neighbor Gwyn’s stash and a bit from my stash as well, but they included Lion Brand Heartland Yarn in Acadia, Lion Brand Heartland Yarn in Mount Rainier (here). I’m pretty sure that the other two colors are Lion Brand Vanna’s Choice in Taupe and Rust (here). Remember that you can be creative and use any colors that you like! 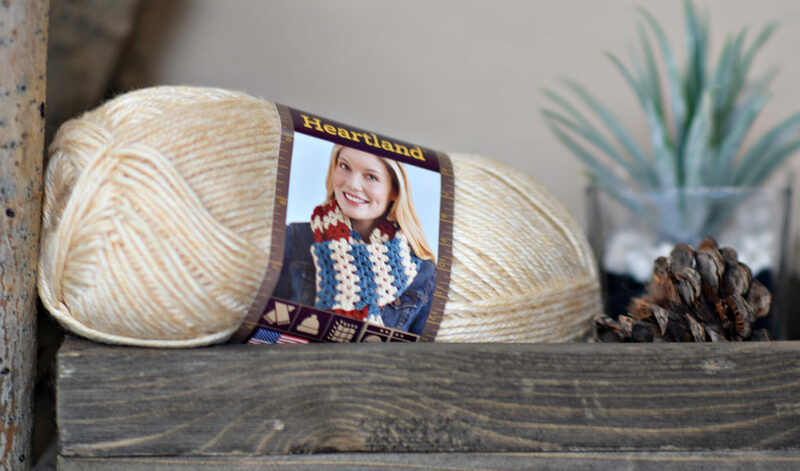 I love Heartland for how soft it is and for the heathered color tones. 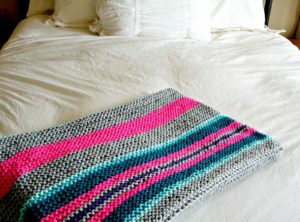 Grab your US Size J crochet hook, one of your skeins of yarn, and make a chain as long as you’d like the width of your throw blanket. 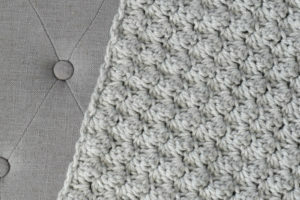 The crochet chain is the first step to nearly any crochet pattern. You can see how to make an initial chain HERE from Annie’s Catalog. Double crochet across the row for the first row, then single crochet across the row for the second row. 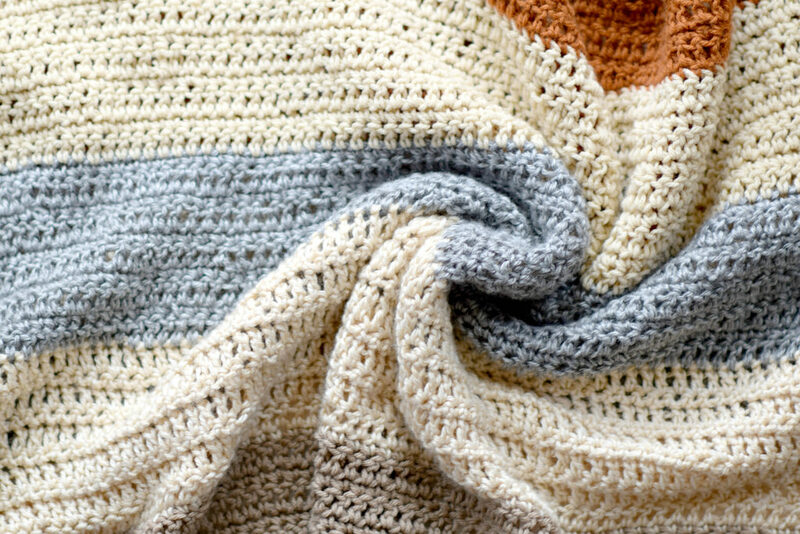 Here is a tutorial from Annie’s Catalog about how to double crochet (here), and here’s a tutorial on single crochet (here) Then repeat these two rows for the remainder of the blanket, changing colors when needed. This alternating between single crochet and double crochet is a great way to get used to using different stitches while working an easy stitch pattern. 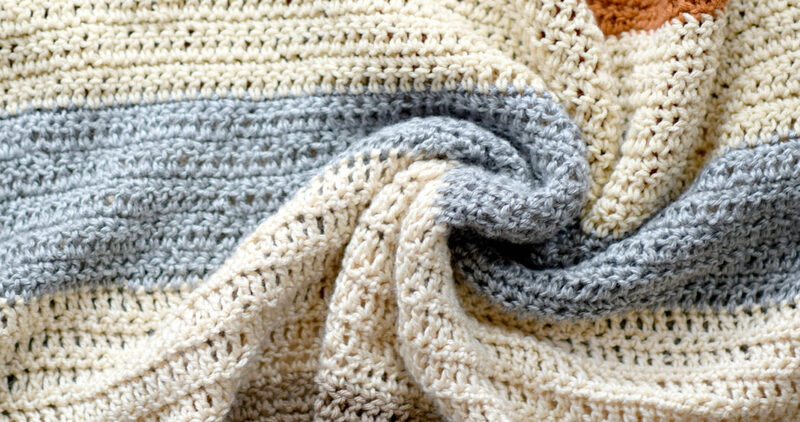 Because I’m a little impatient when it comes to making big blanket like this, I’ll most likely simply double crochet across each row if I make one. This way it will work up a bit quicker and look almost exactly the same. 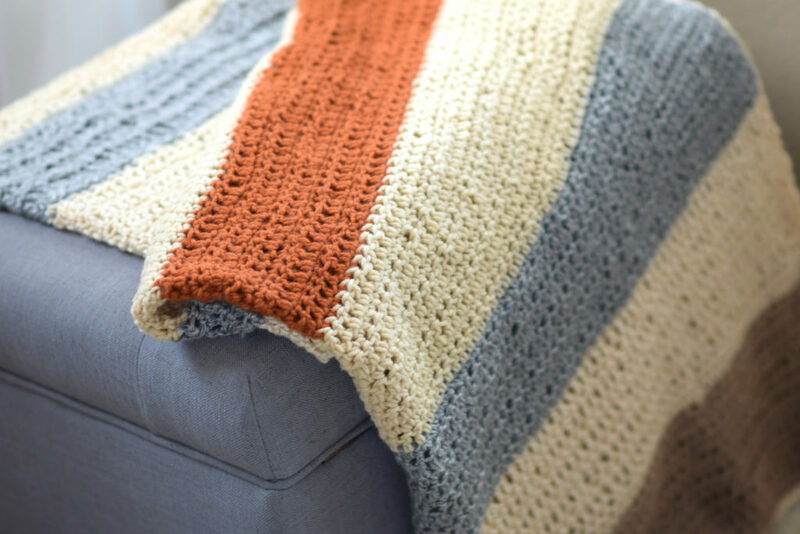 Once you’ve made the stripe as wide as you’d like, it’s time to change colors! Here’s a great tutorial on changing colors (here). Next, you will simply continue to work the pattern making the stripes as you go. You’ll want to keep the stripes equal widths by either measuring or counting your rows. Of course, you can also get creative and make stripes all different widths as well. Part of the fun is making it your own! Step 5 Finish It Off! 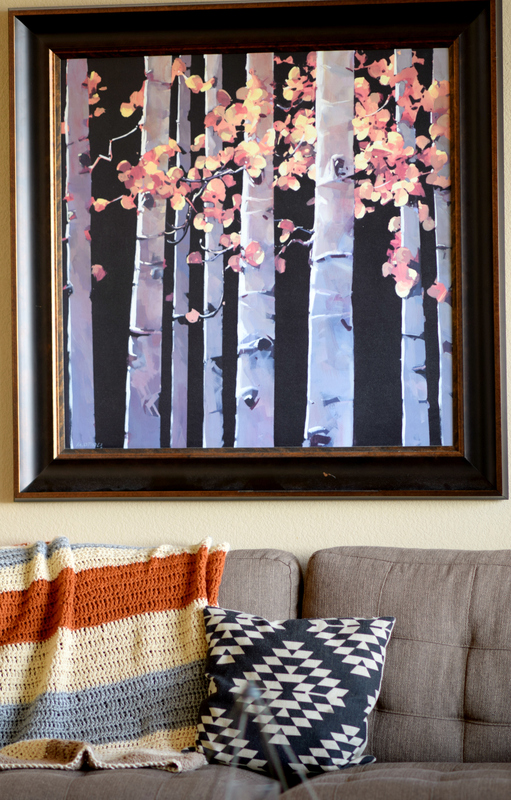 Do you enjoy making blankets during the fall season? 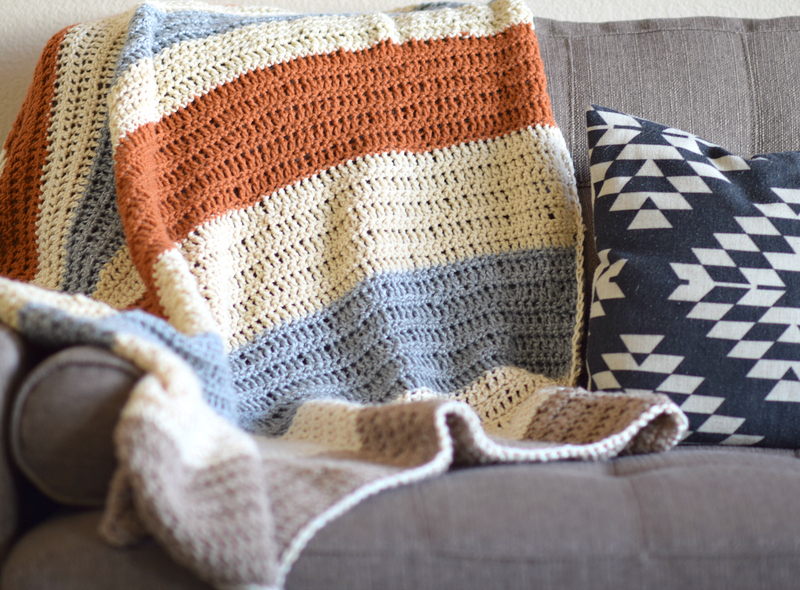 I’d love to hear if you have a favorite blanket pattern or if you plan to make one like this! This blanket is beautiful! Thank you for sharing this sweet story about your neighbor. I have a ton of bits of yarn that I really should turn into a blanket! 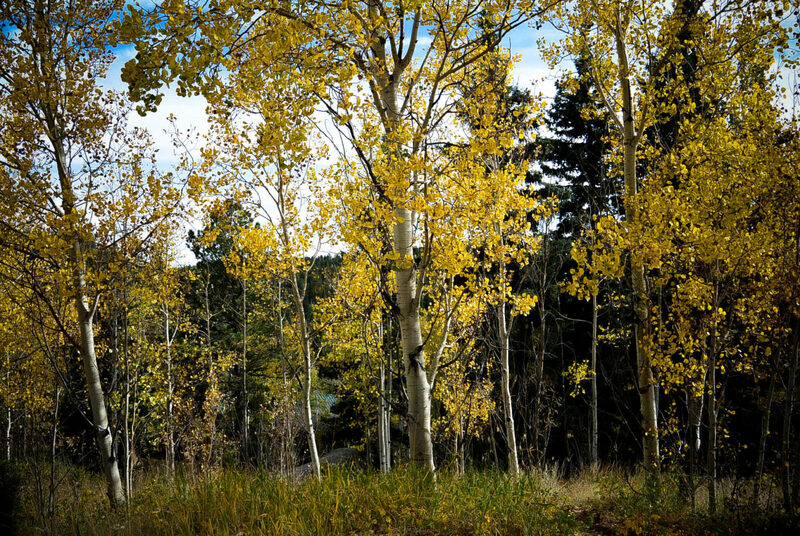 I love the Fall colors, too. Hi sweet Christina! So great to hear from you here on the blog! I too definitely have a lot of yarn that could be used for a blanket. Now to find all the time, right? Lol! Have a great day friend. Way to go Gwyn! Beautiful! 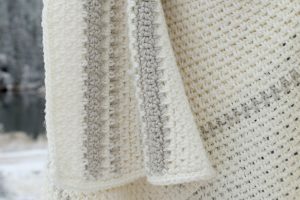 I have been looking for a pattern like the fall throw blanket pattern. Thank you for sharing it. Could you share the finished size of it. Working on one of your kimono patterns now.